Ok memory lane time. When I was a kid, we used to go to Boston Market (fka Boston Chicken) sometimes for lunch and I would always order the same thing–chicken with mashed potatoes and cornbread. I know, I know, inspired. BUT as a young genius, the best part was using the cornbread as a utensil to eat the mashed potatoes. Clearly I was ahead of my time. 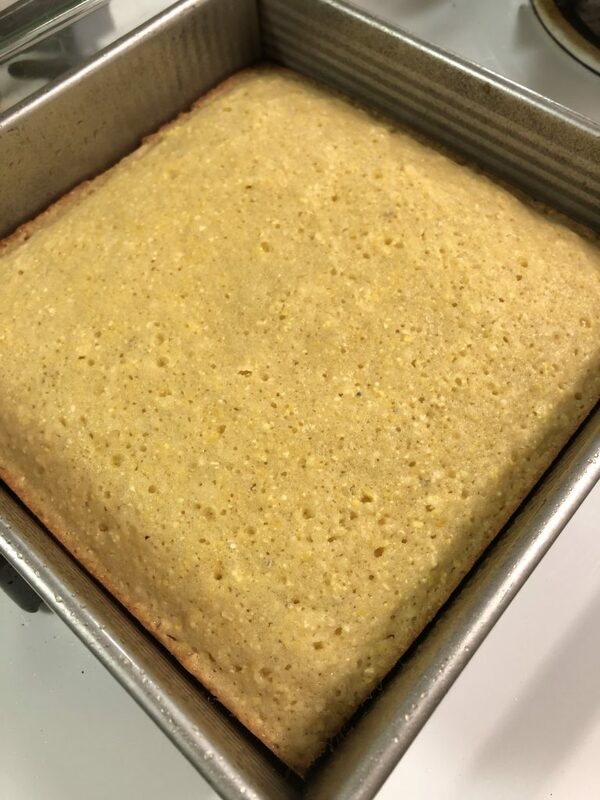 Anyway, I still love both just as much as i did then and as soon as I started working on mashed potatoes recipe for Thanksgiving, all I wanted was cornbread. 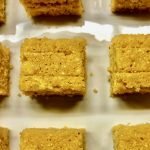 I’m just doing my civic duty here and sharing my all-time favorite Light and Fluffy Cornbread recipe. Oh, and it’s easily made dairy free. You’re welcome. Preheat oven to 350 degrees. Grease an 8 x 8 metal pan with cooking spray. Set aside. 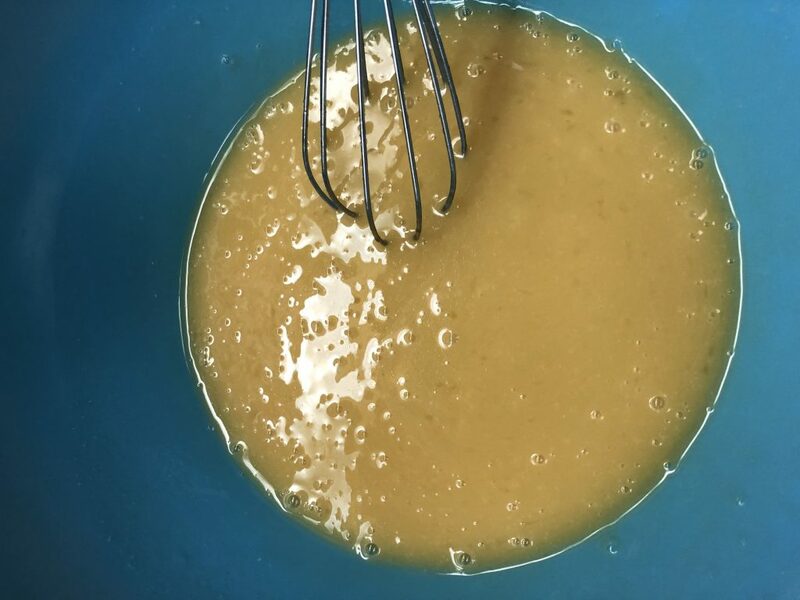 In a large bowl, whisk together the melted margarine and oil. Whisk in the sugar and brown sugar. 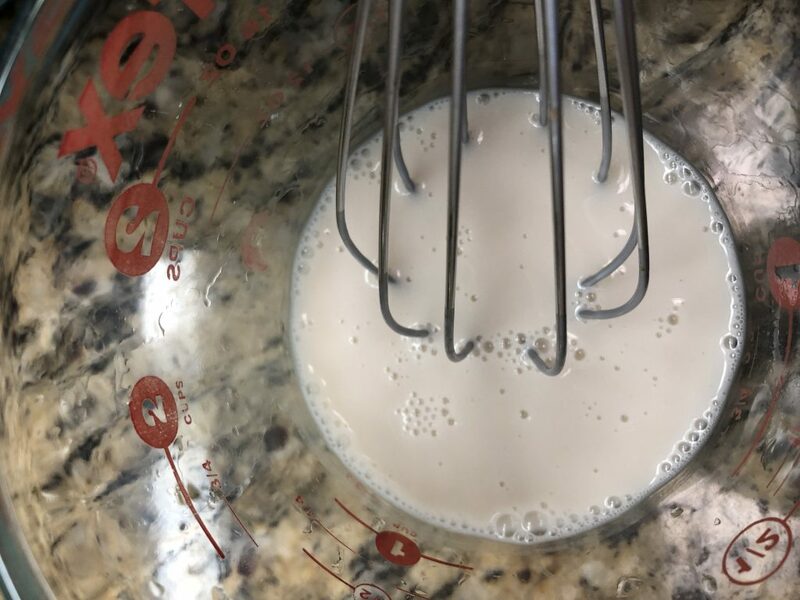 Whisk in the eggs, vanilla extract, and milk mixture. 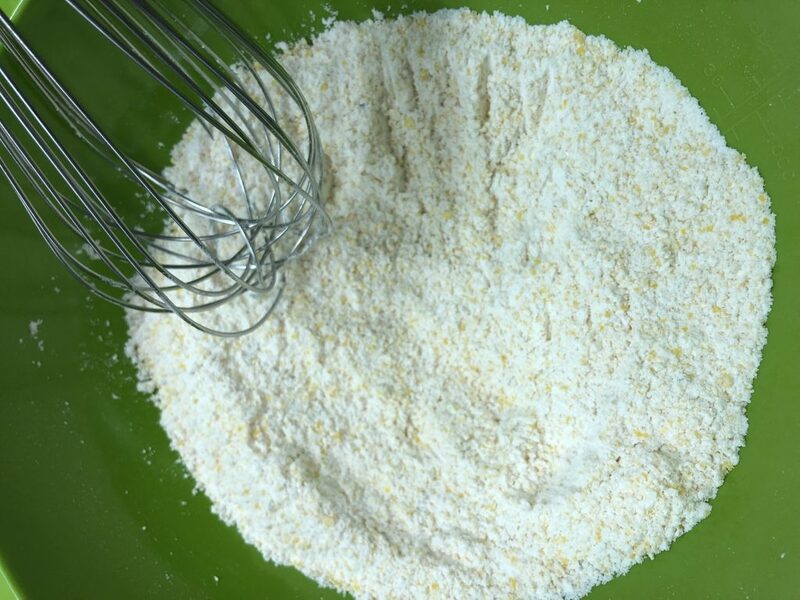 In a medium bowl, whisk together the flour, cornmeal, baking powder, and salt. Using a rubber spatula, gently fold the dry ingredients into the wet ingredients, breaking up any visible lumps. Pour mix into the prepared pan and bake for 25 minutes. Check out that fluff! 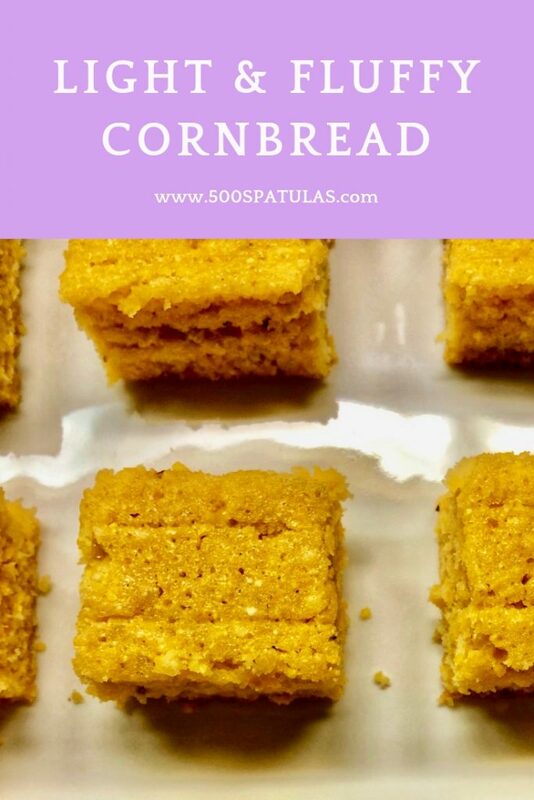 😍 This Light and Fluffy Cornbread is just a touch sweet and is delightful. I highly recommend adding this to your Thanksgiving repertoire. Preheat oven to 350 degrees. Grease an 8x8 metal pan with cooking spray. Set aside. 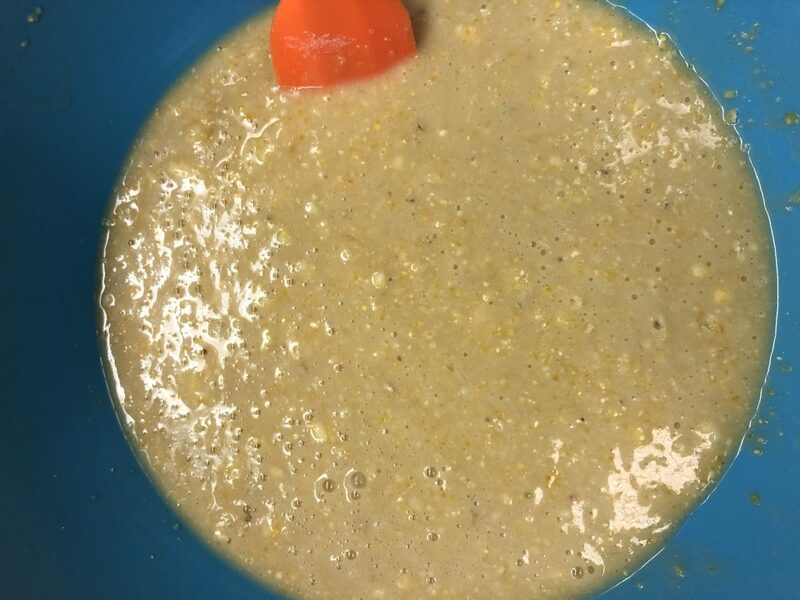 In a small bowl, add in the milk and vinegar. Whisk and set aside. In a large bowl, whisk together the melted margarine and oil. 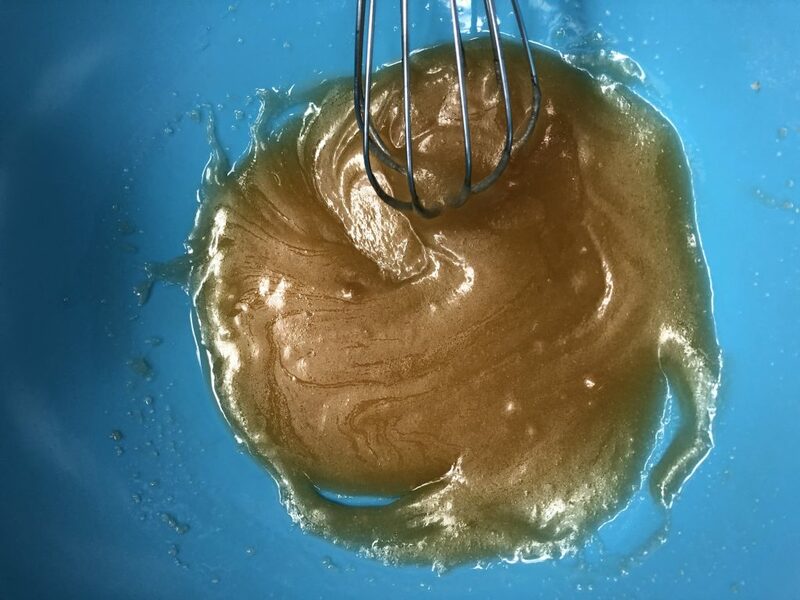 Whisk in the sugar and brown sugar. 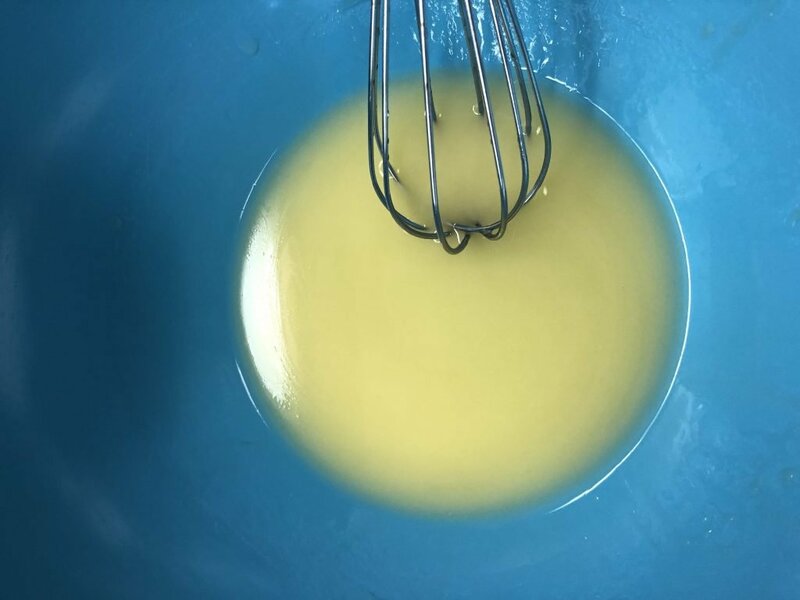 Whisk in the eggs, vanilla extract and the milk mixture. 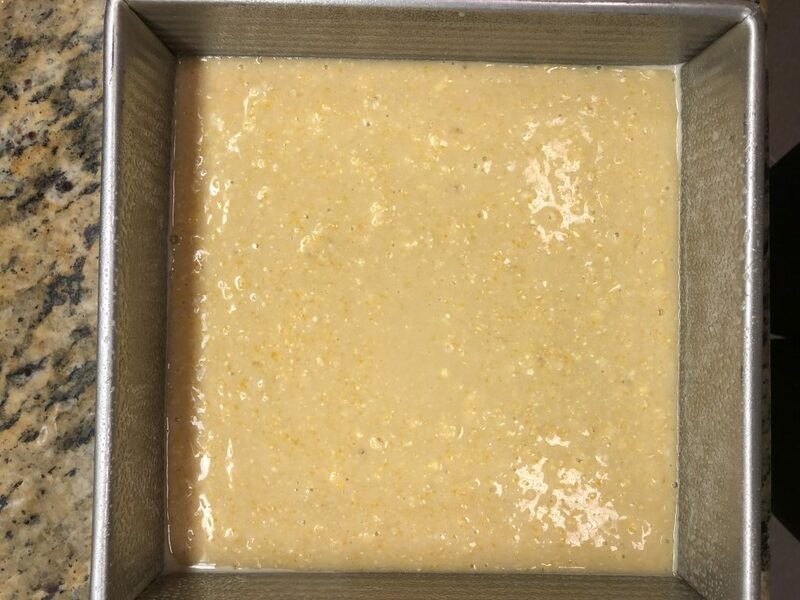 In a medium bowl, whisk together the flour, cornmeal, baking powder, and salt. 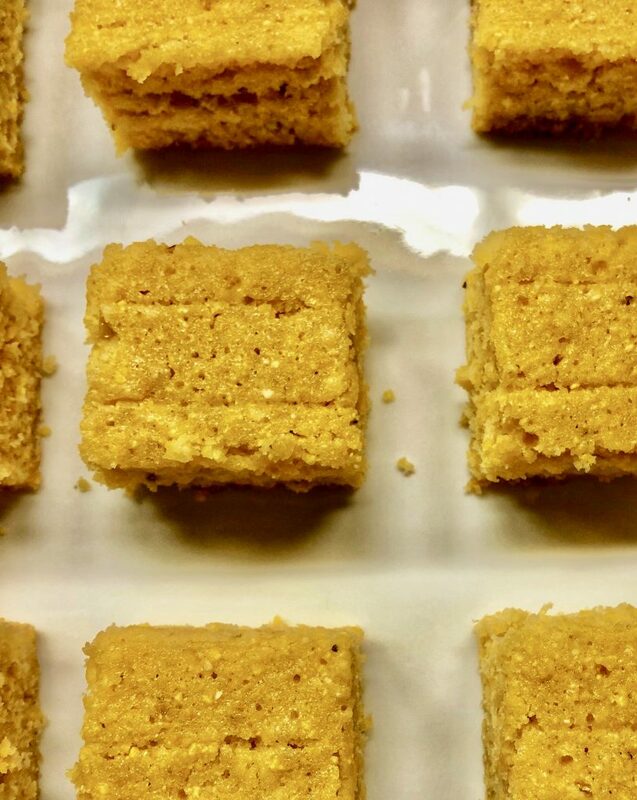 Add the dry ingredients into the wet and gently fold with a rubber spatula until just combined, breaking up any visible lumps.